Learning from the 22LR ? Is there anything special about the 22LR bullet that contributes to its accuracy? I don't see anything special, it's just a conservative design. -- the length of the unsupported nose is 0.89 diameters. -- the length of the groove diameter secton is 1.44 diameters. 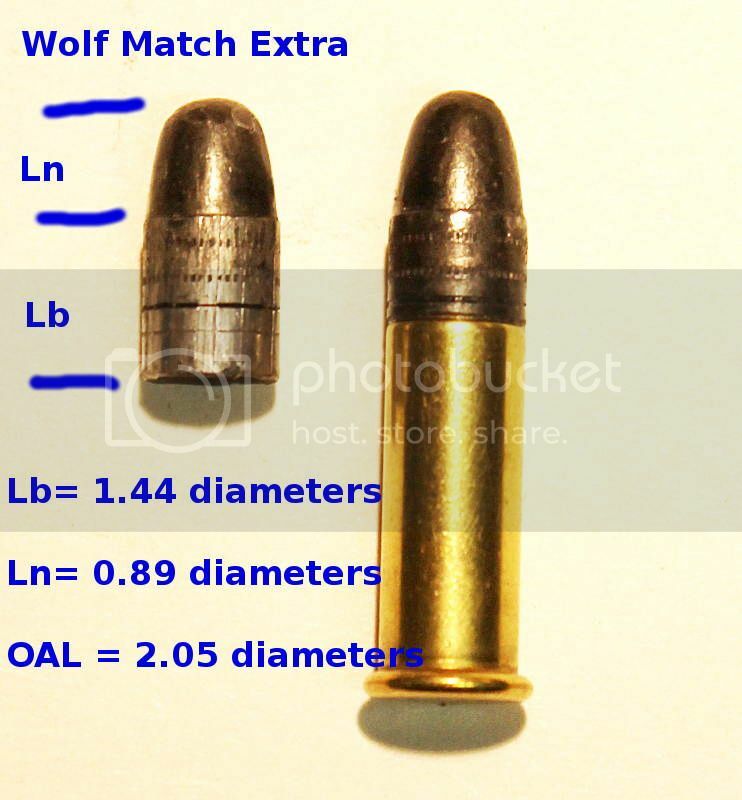 -- the OAL of the bullet is 2.05 diameters.